‘It’s a Picasso! A Picasso!’ Well I never. The things you find in a big city. ‘A what?’ said Amy and Oliver. ‘A painting worth squillions’! I said. Huh indeed. Fancy that. I didn’t expect to see a Picasso when I woke up that morning. A tram yes. Tall buildings, sure. The Yarra River, of course. But a funny looking face (the weeping woman) painted by Pablo Picasso, nope didn’t expect that. What a pleasant surprise. 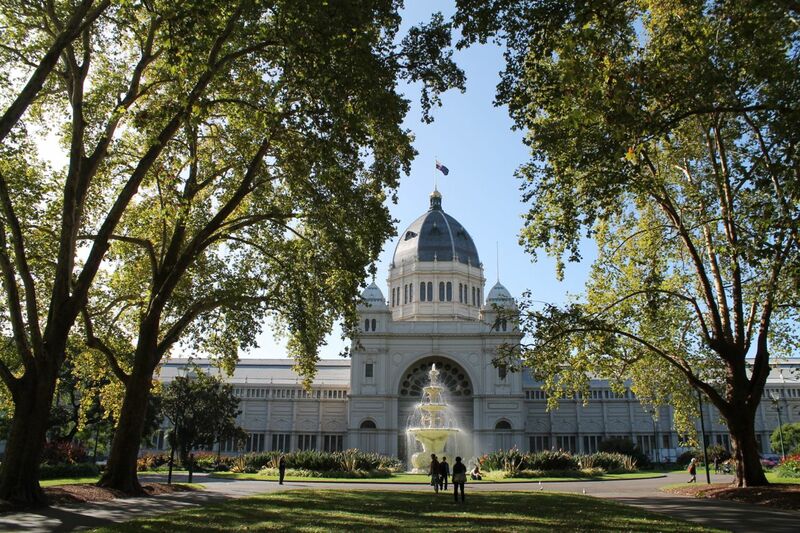 As were the Monet’s, Cezanne’s and Turner’s in Melbourne’s National Gallery of Victoria. That name confuses me though. 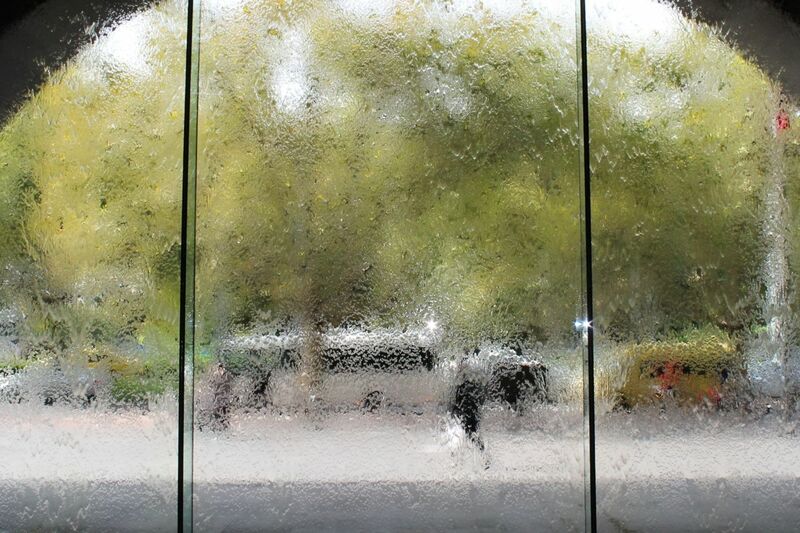 National Gallery of Victoria… nope I don’t get it. The paintings were displayed in a most pleasing manner on tall walls, one atop the other in a jumbled if not random manner and with odd non-matching frames. I’m no art aficionado, but even I can appreciate a painting that looks for the entire world like you could step into it and become part of the scene. We found other faces in Melbourne as well. 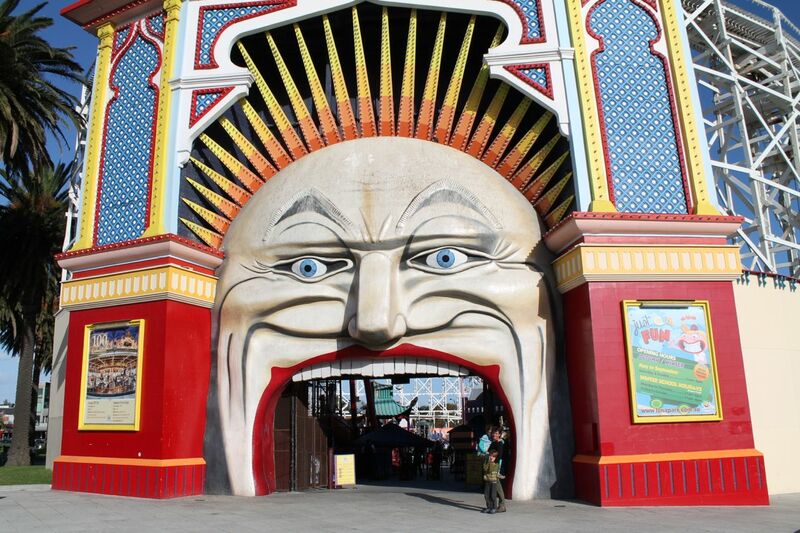 There was a great big one down the road at St Kilda – the face of Luna Park. 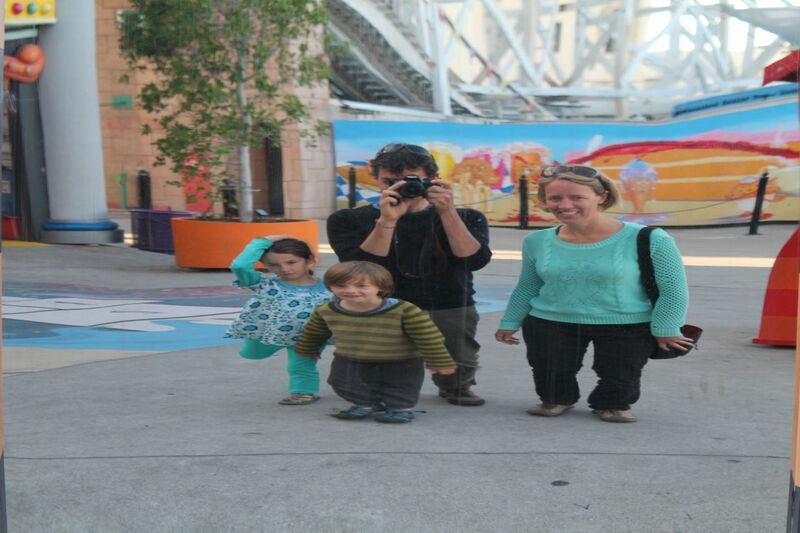 I’d never been to Luna Park before and at $40 for the family to take a single roller coaster ride I’m not sure I’ll go again! It is however one of those things Emma and I felt we really ought to do at least once and when were we going to be back? No time soon. Oddly enough Amy and Oliver weren’t all that keen on riding the 100-year-old wooden ‘scenic railway’ (code for roller coaster as it turns out) and afterwards declared they really didn’t enjoy it at all. Ahh but I did. The old thing rattled like a stone in a can and I still have a sore neck but it was great fun! We found still other faces as well. There was my friend Simon’s for example. Simon was my best man at our wedding and it was great to catch up albeit briefly. There were our other friends Megan and Stuart and their delightful kids Greta and Marcus. 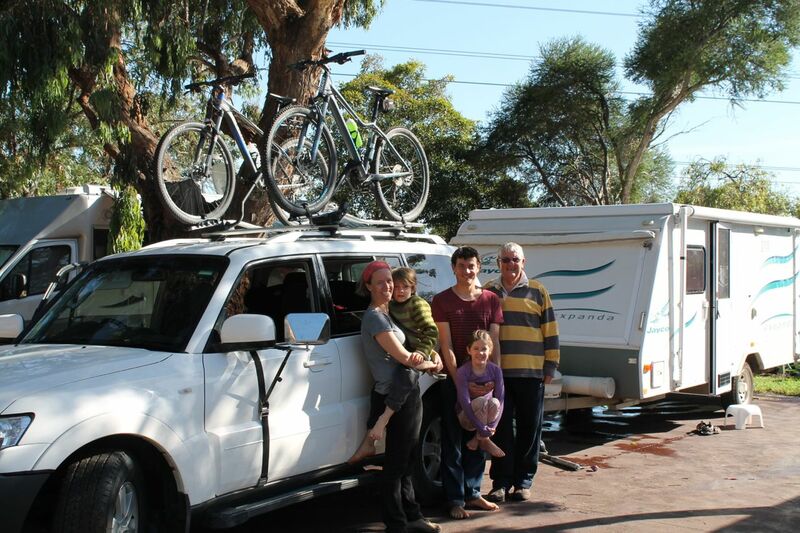 We parked in their driveway for two nights all but denying them entry to their house! And then there was Grandpa Bruce and Irene. 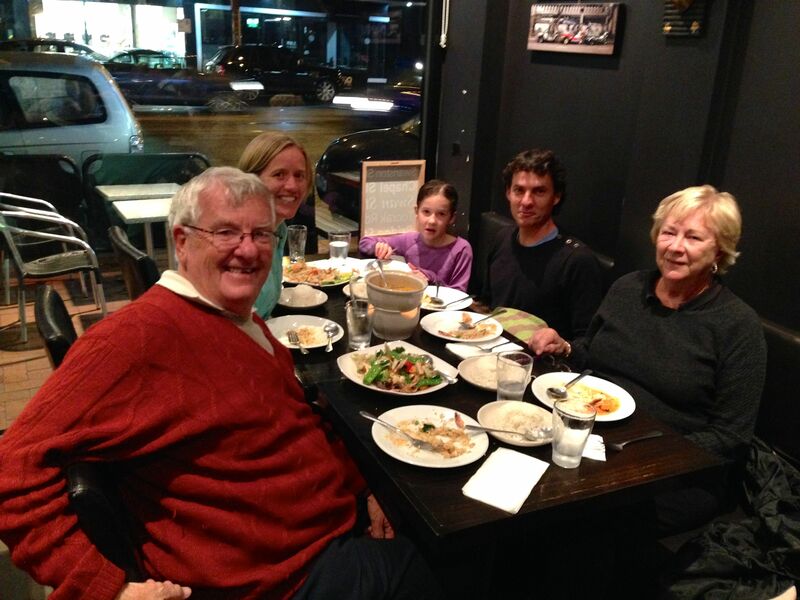 Grandpa Bruce, whose generosity knows few bounds, drove to Melbourne to swap cars with us – we intend to give his back (maybe) when we are finished at Uluru and fly home. We now have his newly purchased Pajero and he has our old blue Falcon. Doesn’t seem fair really. A tear nearly welled in my eyes as they drove away in old bluey. I know, I’m a sentimental fool. Tis only a temporary parting – we will be re-united! I love that daggy old car. Don’t tell anyone. Oh the places we’ve been. There was also Emma’s anxious face one evening. That was the evening she locked us in the caravan. The door handle needed replacing and Emma was on a mission. She sourced the new part, found a YouTube clip showing how the repair was to be done and set to while I was on the phone to Megan. Mid way through the conversation Emma turned to me with a look of despair and hastened for me to hang up. The door handle was off, but the door had closed and we couldn’t get out! We sprung ourselves free with a butter knife. Never leave home without one. I also put on a grumpy face for a while. 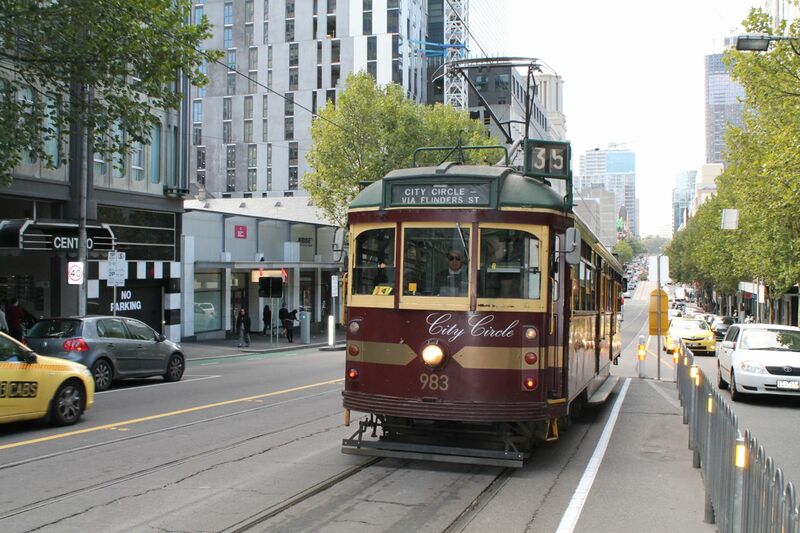 We hopped off the Melbourne city circle tram at a Melbourne laneway packed with café’s and restaurants. I love how a narrow lane like that can spring up seemingly out of nowhere so packed with life and curiosity. What is it that draws people to such a place? I’ll never know, and Emma I’m sure didn’t care. Too many people there were, and we were hungry, and we couldn’t find anything that we all wanted to eat and it all went a little pear shaped, so I had a little sulk. It happens. A happy face soon re-emerged though, amongst the autumn leaves in the lovely and quiet park in front of the Royal Exhibition building. 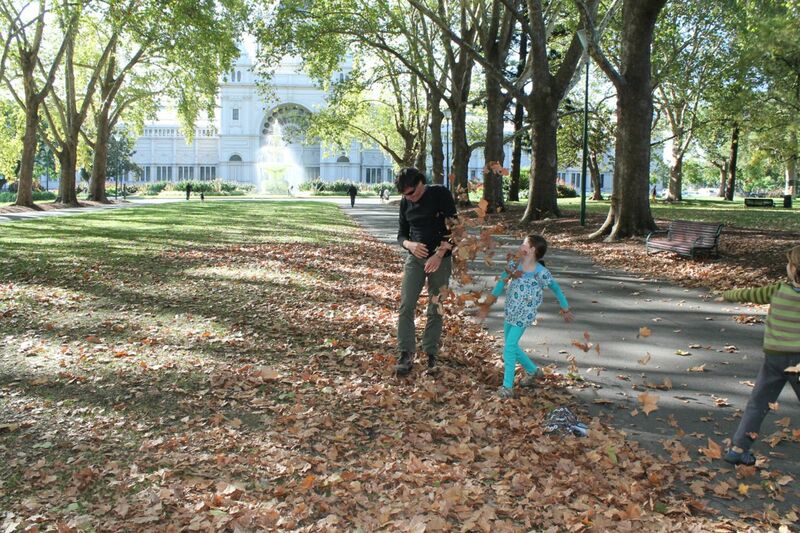 Nothing like a leaf fight to put the sulks away. 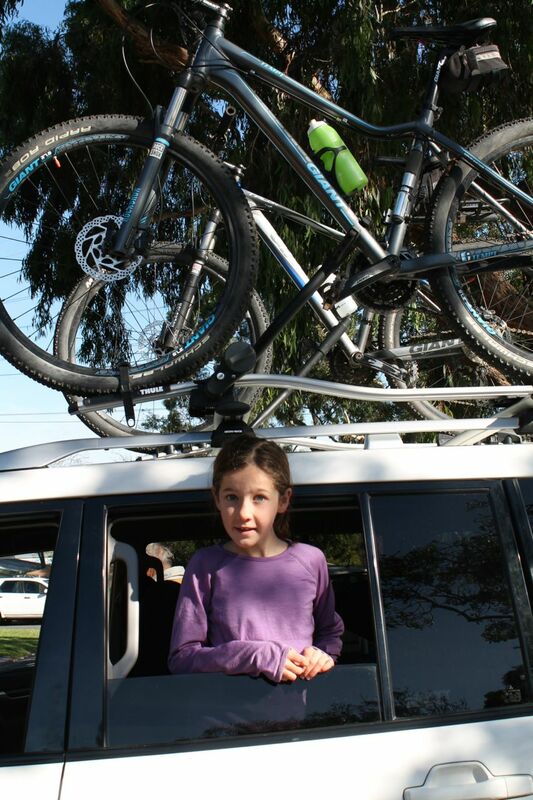 We had a mission to face the morning we departed Melbourne for the Great Ocean Road. 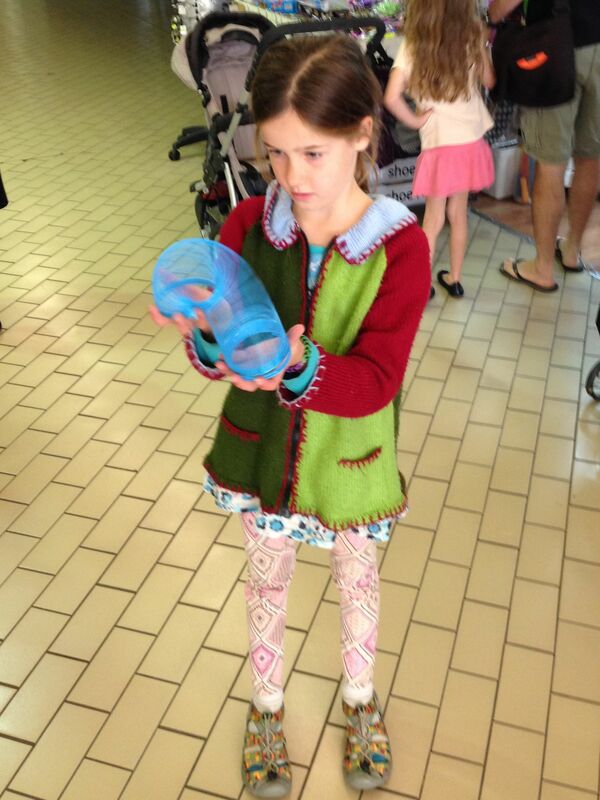 Amy wanted, nay needed, a slinky. Oliver had purchased one a few days earlier while groceries were being procured. It took six faces (Mine, Emma’s, Amy’s, Oliver’s, Megan’s and Greta’s) and an expedition up-town on the tram to procure a new $2 slinky. It was happy faces all round that departed Melbourne, with a promise to meet up with Meg and Stu again within 12 months. We were looking forward to seeing the faces of yet more friends with Paul, Khia, Dana and Evie due to catch us up for the next leg of our journey in just a day or so time. It looks like you are having a great trip and seeing some amazing things – I’m very jealous!!!. I really look forward to reading your blog entries – they are very entertaining (Greg, you should write a book – seriously!). Greg, your attachment to old bluey reminds me of The Chocolate Lady. Hummm. If you’ve not heard about The Chocolate Lady, ask Brucie!! !